Shall we talk people ? 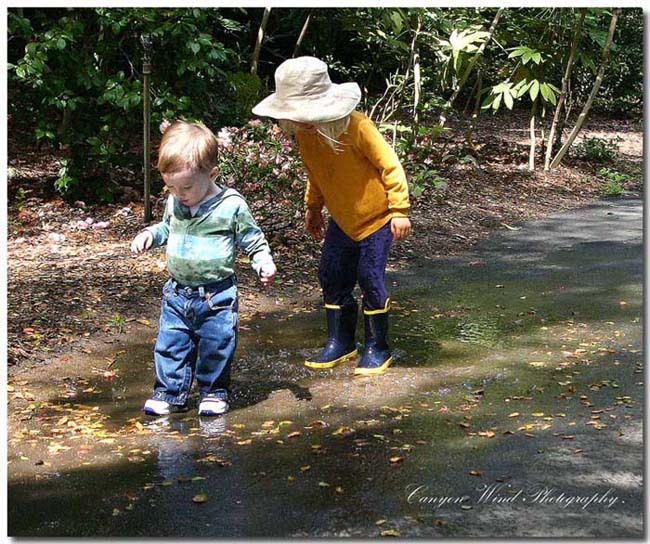 Ever found a puddle of water on a rainy day? Ever wish you were a kid again ? Ever want to do this ? Well go for it ! You are never to old to play and have fun , no matter what the OTHERS say . One must always stay hidden when one has nothing goog to say ! nothing constructive and no advice on how to make it better !One also come from a family ! I have a wife and 2 children and happy with them, but I do not think that my family photos (several thousands) would be interesting for you or others. If sometimes I'll make really interesting photo with my son or daughter I'll upload it, but now it is usual family album. Thank you Nikolai ! I will use your advice wisely. I have looked at the photo again and you are right. The children are not mine , and my wife and I were off on a one day trip to photograph tulips. We came on these two with their mother just doing what kids do best . so I snapped the photo. Next time I wil set it up right . Excellent child portrait and details! Thank you Nuno my friend !